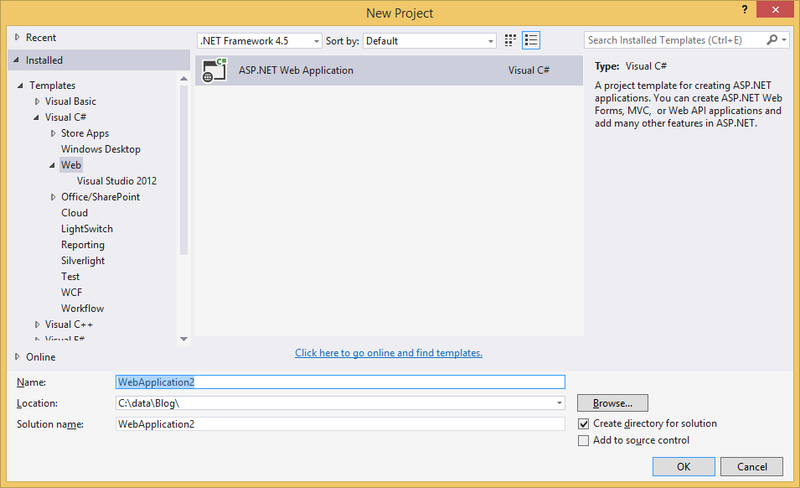 This post is part of Visual Studio 2013 features series. Since first release of ASP.NETMVC 2009, There are lots of type of projects are available for ASP.NET and It’s always been confusion to find all the projects under one hood. So now developer has not to worry about whether I should use Web Forms or ASP.NET MVC and If I need some functionalities of ASP.NET MVC in web forms or anything then how it will work? How we should combine all those different project types? Now that fuss for developer is over. 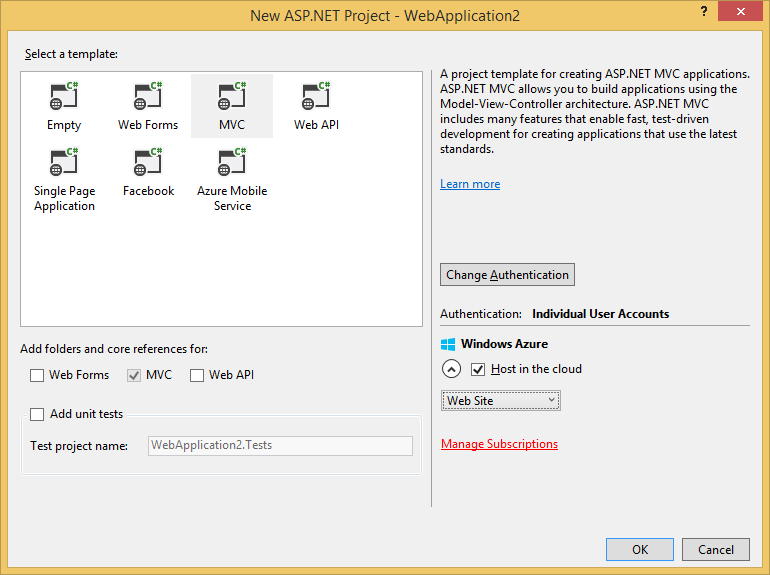 With Visual Studio 2013 Microsoft has vision called One ASP.NET so when you create a web project there will be a single project in Web Category only. Once you click OK there will be different choices provided. Here You can there are various template available like Empty, Web Forms, MVC, Web API, Single Page application,Azure Subscription and Facebook. So you can choose project type as per your requirement but Tricky part is checkbox given below this template where You can tick multiple type like Web Forms, MVC and Web API so all will work under single hood. So here we can have different combination like we can add reference for ASP.NET Web Forms in ASP.NET MVC application and same way we can have ASP.NET Web Forms applications with ASP.NET MVC References. So If we want to develop some part of application in other technology we don’t have to worry about compatibility of it. It will work smoothly. 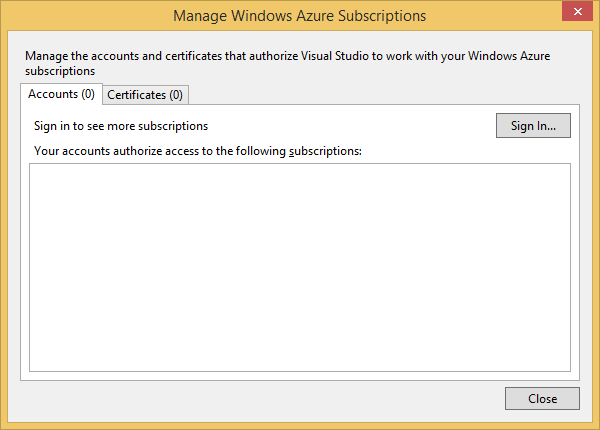 With Visual Studio 2013 Update 2 now you can create Microsoft Azure web site or Virtual machine directly from here only. You can directly host on either Azure Web site or Azure Virtual Machines. You can see there are various options available on above image. The Manage subscriptions line will ask for you subscriptions and a launch a popup where you can manage your subscriptions. So even if you want to host in cloud then also it will be like one click. Isn’t that great? Hope you like it. Stay tuned for more!! Sure I will update it once I update my visual studio with update 2. Thanks for pinpointing! !